On this page you will find the research projects under the "Principles of Sustainability" course. Scroll below to see the different projects. Under each title heading you will find the abstract to each research project and links to the final presentation as well as links to the researcher's page and/or final report. Click here to see a slideshow of the students' presentation posters. *NOTE: All scientific procedures recorded in student lab book. Abstract: This survey has the intention of figuring out weather or not students at PVHS are living a healthy live style. The Hypothesis states that "If sanitation and student activity are not regarded at a high standard, then students will be prone to diseases such as flu or diseases form an unhealthy lifestyle, because they are not concerned about their health." Responders were asked questions such as how often they exercise and how healthy their diet is. This survey was spawned out of the Principles of Sustainability equity unit. Abstract: The goal of this survey was to see if students at PVHS take their diet seriously. The hypothesis stated that "If the nutritional value of the food was to improve then there would be no change in the demand for it. This is due to a lack of concern for nutrition." The way that it was determined if students were concerned about their diet was the were asked first if they check the nutrition facts on their food, and then if they would be interested in more healthy school food. This survey was spawned from the the Principles of Sustainability equity unit. Abstract: Income in a school population varies from student to student. When students are on the low end of the income scale, it can be assumed that their academic performance suffers. The surveys conducted by students in the Principles of Sustainability corse at CREST have taken in hundreds of survey responses to collect a pool of data concerning one of five social topics. The data collected for the Income and Academia group shows that those who are not prepared for school due to lack of funds, are less likely to perform well in their classes. Abstract : Every year, 18 million acres of trees are chopped down due to the demand for lumber. 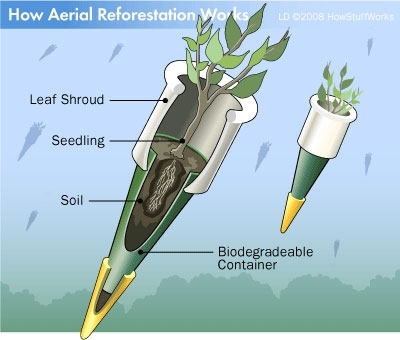 Aerial reforestation is a new method of reforestation done by air on small planes in which ten year old seedlings are dropped into areas that have been deforested due to the demand of lumber. This technique focuses on inaccessible areas in need of reforestation. Some examples of areas that are in need of being reforested are: barren deserts, inaccessible mountain sides, war-ravaged areas, wetlands, or any other area where it might be inaccessible to foresters. Abstract: The worlds population has has seen a dramatic increase since the late 40's early 50's. Along with the demand for energy increasing due to the population jump, the demand for food to feed the worlds people has increased as well. As the demand for food grows, the question is posed "What will our dinner look like in the next 50 years?" Many methods that are being used today such as factory farming fish and cattle have dramatic efects to mach the benefits. Abstract: The Tragedy of the Commons is a term used to describe a dilemma where a shared resource, or a commons, is exploited. 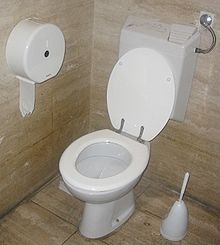 This is due to lack of cooperation between the users, ignorance to one’s effect on the resource, and increase in demand due to population growth. This tragedy affects population growth because the ratio of resources per person decreases as the number of people increase. In other words, the Tragedy of the Commons states that, unless the allocation of resource for each person decreases as the population increases, the resource will be stressed to the point of depletion. One fine example of this is groundwater use in Arizona. Groundwater is a finite resource, yet suburban communities that do not have access to canals rely on it for water. This prevents population growth in these communities because of lack of access to reliable, affordable water resources. Abstract: In the United States, energy is becoming a more widely discussed topic. This can be attributed to one fact in particular: as the earth’s population increases, many energy resources, such as fossil fuels, are decreasing rapidly because people are consuming more than they need. Energy resources and population dynamics vary throughout the country. Comparing and contrasting these two facets of each region shows that all of the regions in the United States have different techniques of providing energy to their population, but all strive for the same goal: to keep our country running smoothly.